We listed up our recommendations for you ! MonotaRO offers Wrapping paper and more. You can buy them anytime from our Malaysia online store. Dimension (mm): 758x528, Paper Quality: White wrap 60g/m2 , Purpose: As using of waterproof material, for packaging of freezing and refrigerated products. TRUSCO Part Number: 270-8116, Width (mm): 500, Thickness (mm): 0.025, Finishing Material: Vinyl acetate (sticky layer) + zerust additives + polyethylene, Length (m): 200, Purpose: Corrosion inhibiting packing for metals, machinery equipment and parts. Mainly during exporting and importing. Thickness (mm): 0.1, Finishing Material: Polyethylene + Zerasuto additive , 2014 TRUSCO Published Page: 1-2710, Purpose: Anti rust of various metal steel and metal work products. Anti rust and corrosion proof of machinery parts and machine equipment. Temporary corrosion proof in mill process. Anti rust during inventory holding. Thickness (mm): 0.1, Finishing Material: Polyethylene + zerust additive, Purpose: Antirust at the time of storage and export of iron and cast iron components. Specification: With release paper, Color: Black, Base Material: Ultrahigh molecular weight polyethylene, Adhesive: Acrylic, Adhesive Power (N/10mm): 5.3, Purpose: Various products filling, sliding surface of the labeling machine. Vending machine slip plane, guide rail wrapping. Washer lining. See more results of "Wrapping paper"
Here you can find Wrapping Paper and Squareuares Content Imitation Paper as well. Find Perfect OP Film and Scotch Paper Cutter For Your Need ! Our recommendation, Wrapping Paper and Color Wrapping Paper. 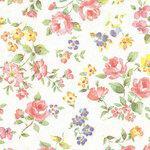 Wrapping Paper and Flower Wrap and many other best selling products. Best Hit Wrapping Paper and Ultra High Molecular Polyethylene No4430 Black ! Here you can find Paper Cushion and Flower Wrap as well. Fluoroplastic-impregnated Glass-cloth Adhesive Tape and "NITOFLON No.973UL-S", best offers by MonotaRO ! Our recommendation, Gift Wrapping Paper and Congratulatory. Eco Series Anti Rust Paper and Iron and Steel and others, don't miss it !